Prof. Sospeter Muhongo, Tanzania’s Minister for Energy and Minerals announced that the Government issued 20 Bn TSZ for the construction of pipeline network for the distribution of natural gas form the Mtwara region to Dar es Salaam for domestic and industrial purposes. Meanwhile Preisdent Jakaya Kikwete recently launched the construction of Mnazi Bay and Songosongo Natural Gas processing plant and transportation pipeline. Tanesco, Tanzania’s Electric Supply Company has been directed to start building the power processing plants. The project is expected to be completed within 18 months. President Kikwete clarified that “Construction of the power plants should go parallel with laying of the gas pipelines because waiting until the project is completed will delay production of electricity”. The processing plant, will be owned by the Tanzania Petroleum Development Corporation (TPDC) and should generate more than 3,000MW of electricity, above the country’s target of 2,780 megawatts by 2015 national and should allow for surplus selling to neighboring countries. The project should allow Tanzania to meet 54.8% of power generation from natural gas, and leave about 29.8% to heavy oil and 15.4 % to hydro plants. 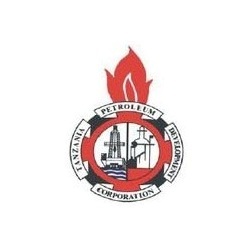 The project is to be jointly implemented by China Petroleum and Technology Development Company (CPTDC), a unit of the China National Petroleum Corporation (CNPC) and the TPDC. Deputy Minister of Energy and Minerals George Simbachawene recently announced that official estimates of recoverable natural gas reserves in Tanzania were raised from 28.74 trillion cubic feet (tcf) to 33 following latest large offshore discoveries. However to match to current shortages of petroleum products, the government also plans to introduce Strategic Petroleum Reserve (SPR) to ensure adequate stock of fuel at all times.